A new study examined climate targets, climate measures and emissions in Finland’s 50 largest local government areas. Emissions from Finland’s 50 largest municipalities account for approximately one third of Finland’s overall emissions. If municipalities were able to attain their targets for emissions cuts, this would reduce Finland’s emissions by almost one sixth from what they are at present by 2035. However, in order to attain their targets, municipalities will need an effective and far-reaching central government climate policy to support their efforts. The study was carried out by Deloitte. 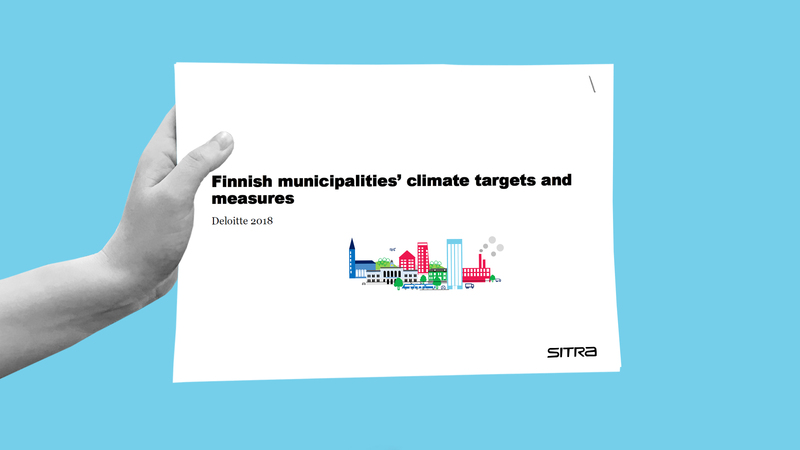 Deloitte examined publicly available data on emissions, climate targets, climate strategies and action plans in Finland’s 50 largest municipalities and interviewed 13 climate action specialists and representatives from nine municipalities. The most important tools used by local authorities to reduce emissions are land policy and planning, public procurements, financial steering methods, and ownership steering for municipal enterprises and group member companies. According to the interviews carried out for the study, these can be used far more effectively than at present.